Last week I spoke at the New Generation Publishing summit and this thorniest of questions came up: how do you strike a balance between writing books and working on marketing and sales? We had good examples of two extremes. In the marketing-gone-mad corner, we had debut author Toni Jenkins. She cheerfully confessed that when her first book launched she went to the mattresses, working until late every night, identifying possible audiences, writing emails introducing herself, following up leads. She added that her mentors at NGP, while applauding her energy, reminded her not to lose sight of her writing. In the other corner, the ‘just-leave-me-alone-to-write’ department, we had staunch representation too. NGP director Daniel Cooke told me he has too many authors who can’t be persuaded to consider marketing at all. Joel Friedlander had a good piece about this recently by Judith Brile – is your plan for success ‘I just want to write my books’? Clearly neither situation is ideal. Whether we go it alone or have the backing of publishers or PR agencies, we need to accept that we have to be our books’ ambassadors. But not only is marketing a separate job that takes time to learn, we can’t easily measure what works. (This remains an eternal conundrum even for experienced marketers.) Small wonder that we either get marketing frenzy (like Toni) or cover our ears (Daniel’s authors). If you’re writing, it’s easy to measure results. More words added to your manuscript, more scenes feeling ‘right’, more research done. With marketing, you don’t know if you’re wasting a whole heap of time. Some activities give measurable results, but a lot more don’t. Marketing is about presence as much as sales – your Facebook adverts, social media activity, newsletters, guest blogging may not always ring the cash registers. Your shot-in-the-dark letters to book bloggers or other persons of influence might not get a reply, but they might still make an impression. They let people know that you exist; that you produce. Can anyone hear me? Anyone? And the converse of that is …. If you don’t do it, your book launch is like a tree that falls over in a wood with no one to hear. So we must make time for both marketing AND writing. And we must make sure that one doesn’t swallow the other (barring exceptional circumstances like a book launch, or the final push to polish a book for press). The trouble is, marketing could drive us bonkers with possibilities. Every week I trip over several new wonderful things I could consider. To evaluate them takes time – and I might end up discarding them because they won’t reach my audience. This is why we get so overwhelmed, because we could do this 24/7 and never, ever get to the end of it. Then we enter a panic cycle of thinking we’re not doing enough, or not doing the right things, or everyone is somewhere we’re not. But it’s possible to develop a sensible approach. This is mine. It has two principles. 2 Obey the list. Do not do any task unless you’ve added it to your list. Have you stumbled across a Brilliant New Thing? Do not do it this week if your dance card is already full. That great new gimmick, website, social media platform, hot books blogger will still be there in seven days’ time. It will not leave the planet. So whenever you read about a new wonderful opportunity, resist the urge to do it immediately. Unless it has an urgent deadline – eg a competition – put it on the list for next week. You already have a plan for this week. Continue with that. And remember: you’re working on long-term presence as well as short-term sales. It’s actually bleeding obvious, isn’t it? Again, I’m going to use the comparison with diets. Diets work if you stick to the rules. They don’t if you don’t. And the great thing about this marketing/writing diet is that you’re allowed as much cake as you like. And the other part of the plan, of course, is to have a solid writing process that leaves you free to create. 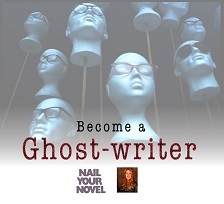 So allow me to discreetly mention Nail Your Novel, a system I developed from the questions I’m most commonly asked by writers, and still use now, with many books behind me. Even more audaciously, allow me to suggest that Nail Your Novel trio make groovy gifts for other scribblers you know. Have you hit on a plan to balance marketing and writing? Let’s discuss! This entry was posted on November 20, 2016, 7:24 pm and is filed under Book marketing, How to write a book. You can follow any responses to this entry through RSS 2.0. You can leave a response, or trackback from your own site. Progress v madness – you summed it up excellently. Thanks, Sheila! Thank’s. It was an excellent post. Happy to share it. Glad you stopped by. Ugh, is this post ever timely. I’m normally in the ‘go away and let me write camp’ with just my blog and blogging friends connecting me to social media, but with the launch of…-cough- new book -cough- I’m suddenly forced to wear a marketing hat that doesn’t fit. I thought it would be smart to run a competition for each episode, offering some of the music that I write to as the prize. Duh…I should have realised that music is very much a personal thing and that most people wouldn’t get excited about something just because I love it. So now I’m offering an Amazon gift voucher instead, but it’s not the same. 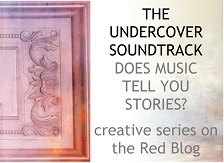 With the music I could promote the music with just a mention of the book. Now I’m having to promote the book and I cringe every time I send out a tweet. Hi Andrea! I suppose you just have to go through a few weeks of madness, then you can reprioritise. But congrats on the launch and I hope all goes well. On time management (or at least trying to get the balance right) I’m sure you can! Whether I’ll succeed is another matter! Toni, welcome! And it has to be said that NG were impressed with what you achieved. Hope the next book is going well. ‘Just write’ authors—I’m one—illustrate why traditional publishers aren’t going to go away in the forseeable future. Technologies such as online stores, print-on-demand, and digital may have reduced their importance in book distribution. But they still play a vital role in marketing, particularly with authors who lack the knack for or interest in pushing sales. That said, there are ways to address this problem. Two come readily to mind. 1. 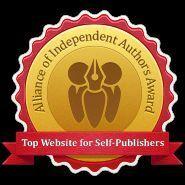 An well-known, online book database maintained for authors. Before the mess that was Google’s mass scanning of university collections, I tried to interest the company in creating a one-stop website that’d be a global publisher/author database for books. It’d allow authors to post a description and offer a sample. It’d be location-savvy and link potential customers to any author-chosen retailer from local bookstore to an online retailer in the customer’s country. In short, it would take up the ‘all the books’ role that Amazon now provides but open up space for Amazon’s competitors. I had no luck persuading Google, although the Google book settlement did have Google agreeing to set up something similar for the Authors Guild. That died with the settlement. 2. Multiple-roles in independent publishing. Currently, authors often hire someone to copy edit their books and design the cover or forgo both because they lack enough money. Even worse, when it comes to marketing, they have nowhere to turn. They do it themselves or it doesn’t get done. It’s the classic problem of ‘rugged individualism.’ Doing it all yourself often means you do some things badly and others not at all. This isn’t as much a money problem as a money-flow problem. Authors are having to pay up-front for services that only benefit them later. Editing, covers and marketing are fee-for-service markets in which many authors can’t afford the fees. Everyone earns less than they might. That doesn’t have to be. What if there were a system that’d divide up the income from a book each month among those who contributed to it? The author would get a slice with each sale, as would the editor, cover designer, and marketeer. Each would have a strong incentitive to make the book a sucess. Each would derive a steady income from the book. What’s the most practical way to handle that? Probably by having retailers agree to make several royalty payments for each book. A certain slice would go to each of those who contributed to the book without the horrid bookkeeping and tax calculation that’d be involved it the author had to dole out that money. As the industry giant, perhaps Amazon could offer that as another attraction to distribute through it. Amazon would benefit from better written, designed and marketed books and the rest of the industry would have to follow along. For the record, I’m spending what is likely to be an entire month marketing the four books in my ‘hospital series’ to professors at medical and nursing schools. I keep telling myself it will be worth it, but tailoring specific emails to at least one professor at some 2,000 nursing schools is, shall we say, a bit tedious. I would rather be writing. that’s an interesting suggestion, but I can’t see any service provider being willing to take the risk. But then, this is exactly how publishers have to think – they have to decide what they can afford to risk on each individual book because it may not pay back. I can certainly understand the problem you’re describing, but as an editor there’s no way I’d be willing to work on such a basis. The time taken to edit a book and make my contribution is considerable. Whether the book succeeds or not is completely out of my control. I’d effectively be working with no pay – and if I was going to do that I might as well work on my own book because I’d own all of that. I’m sure the bookkeeping would be even more horrendous, BTW. And how about shares – does the cover designer get as much as the editor? The cover helps to sell the book in the first place, but the editor spends far far longer working on the manuscript than the cover designer does. But heavens, I don’t envy you your publicity campaign. Power to your pen. 2,000 emails – I hope they pay off. Great minds think alike, Debby – thanks! “Like adopting a healthy lifestyle, the most significant benefits aren’t instant, they’re cumulative. ” As a copywriter, I think this is great! It’s true for marketing anything, not just books. It can be easy to grow discouraged when you don’t see fruit in the first month but sticking with it is the only way to get anywhere. As a college student who major in Marketing and just started blogging, these are great tips to know as I am already struggling on time management and trying to do everything I love all at once. Glad to know those tips to help me strike a balance between my academic work and interests! Nice to meet you, Wendy – and good luck finding the right balance. Not too good at planning, except shopping lists, but tend to spend three months writing and one summer marketing. I don’t seem able to do both at the same time. I’m getting to the change over time but producing a pantomime has upset the system. Starting a course later in the month so will soon be writing again! No good at maths – I meant nine months writing! Ho ho, Julie – I’m pretty rotten at numbers as well. Hope the pantomime refreshed your batteries!